A style I never thought I would ever wear is gladiator sandals (especially lace up ones). These sandals always seemed too trendy and boho for me and didn't really seem to match the rest of my wardrobe. Lately, however, I've seen these shoes all over Pinterest and countless blogs, and I have to say, I'm starting to change my mind! I used to think they could only be styled with a flowy dress or skirt, but they can totally be worn with a more classic outfit for an added fun vibe. I love how they look with white jeans or a bold dress, and think they're a super cute shoe for spring break or summer. 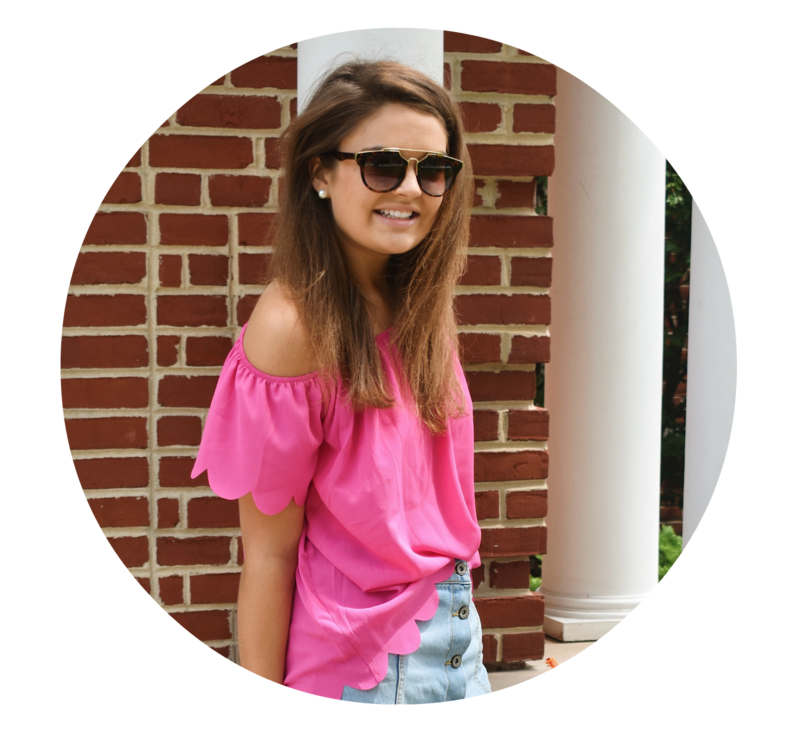 They have popped up at a bunch of my favorite stores so I rounded up a few of my favorites to share with you! Since they are so "in" right now and there are so many different looks, you can easily find a pair that you love. I just received these for my birthday in tan and they're sold out right now, but I bet they will be restocked soon. I am so ready to don them somewhere warm! 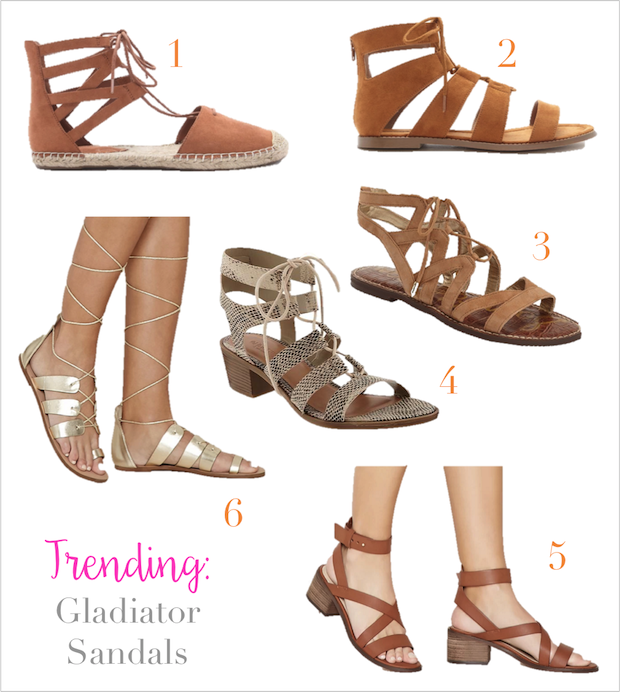 Are you into gladiator sandals right now too? These are all so cute! I love them! I'm so glad that my favorite pair that you picked out are the gold forever 21 pair!